In July, Bill, Cindy, Robert and I visited Holliday Lake State Park. 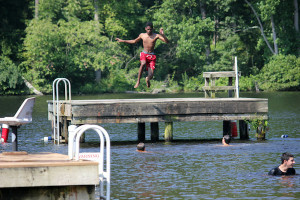 Holliday Lake is very family friendly with a large beach, picnic shelters, snack shop, playground, hiking trails, fishing spots, campground among many other amenities and things to do. Kids will have a blast playing on the beach, jumping off the swim platform, and climbing on and sliding off huge floating water toys in the designated swimming area, which always has a lifeguard on duty during operating hours. You can also canoe and kayak, play volleyball, build sandcastles–or hunt butterflies! 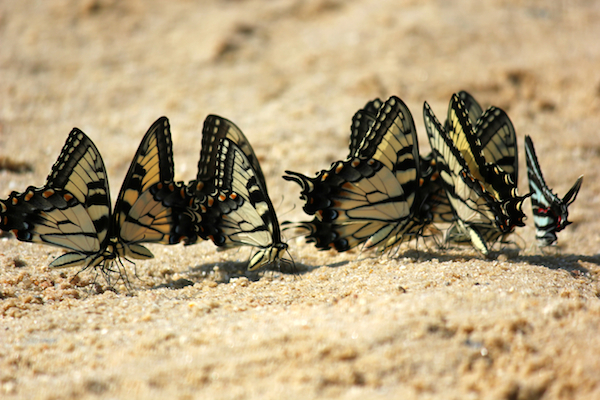 We shot pictures and footage of hundreds of butterflies, drinking from the wet sand while we were there. They looked so pretty flying around all together! We took a nice half-mile hike, capturing footage and photos, although much longer hikes are available. The hiking trails are shaded with plenty of rest areas, scenic overlooks and places to fish. After our hike, we enjoyed lunch in one of the historic picnic shelters built in the 1930s built by the Civilian Conservation Corps (CCC). History buffs will also appreciate the historic graveyard near the picnic shelters. If you forget to pack a lunch, you can eat at the snack shop and perhaps try (or split with others!) their famous 24-inch sub sandwich, The General Grant. 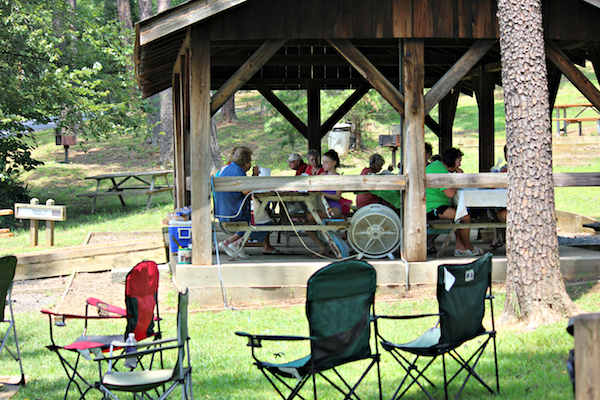 Holliday Lake is ideal for family reunions–in fact, we were able to get footage of a family reunion enjoying lunch at one of the picnic shelters. 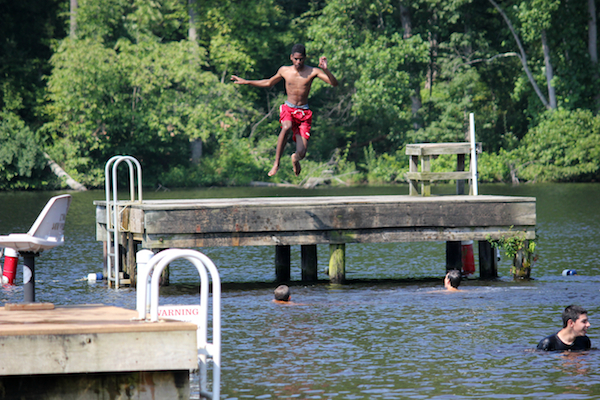 To see more photos of our visit to Holliday Lake State Park, click here.